Tetralna Square and The National Opera House | Aren't We All Just Tourists Here? As we make our way back down Volodymyrska Street and across Shevchenko Boulevard, you will see several more buildings associated with the university. The National Academy of Science and the Ministry of Education are both on this street. But our next destination is a little farther and at the next corner. 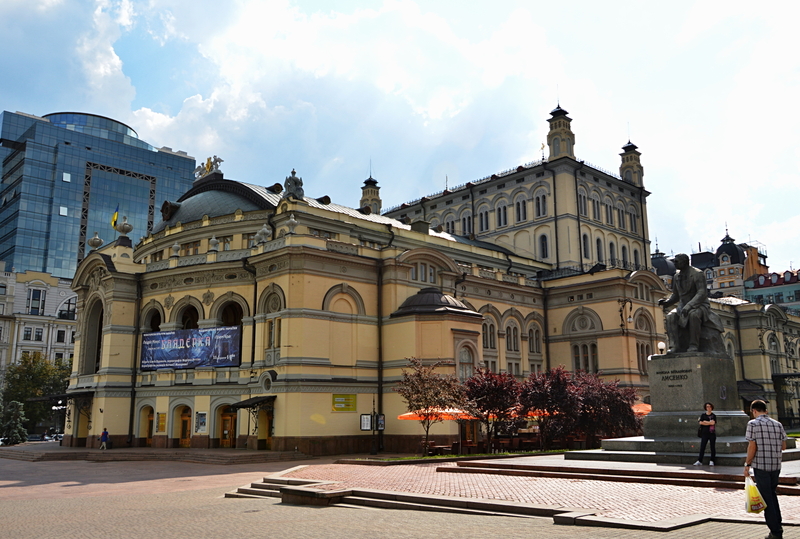 At the next intersection, on the northeast corner is the National Opera of Ukraine . 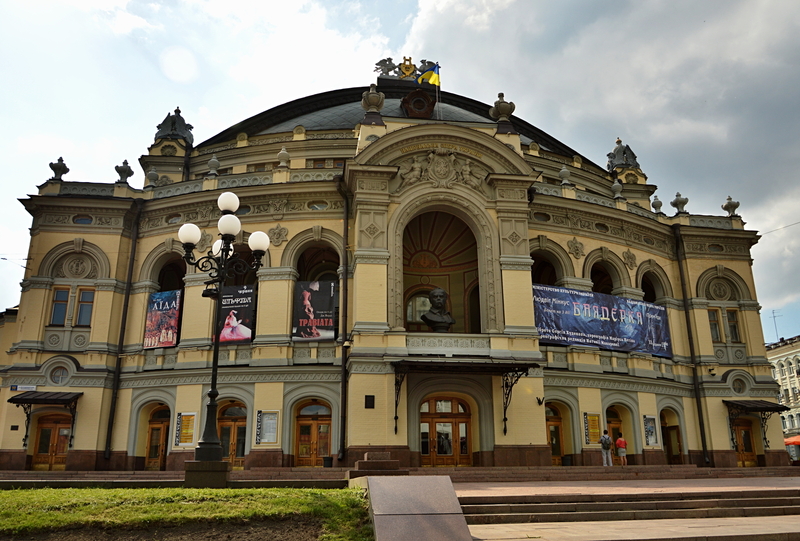 Originally it was called the Kiev City Theater but was re-named after a fire destroyed the original building in 1896. The new building, opened in 1901, is a wonderful example of Neo-Renaissance architecture and has one of the largest stages in Europe. If you enjoy either, opera or ballet, I would recommend it. I have seen several productions and all were very well done. You can buy tickets and see schedules at the National Opera – Home. 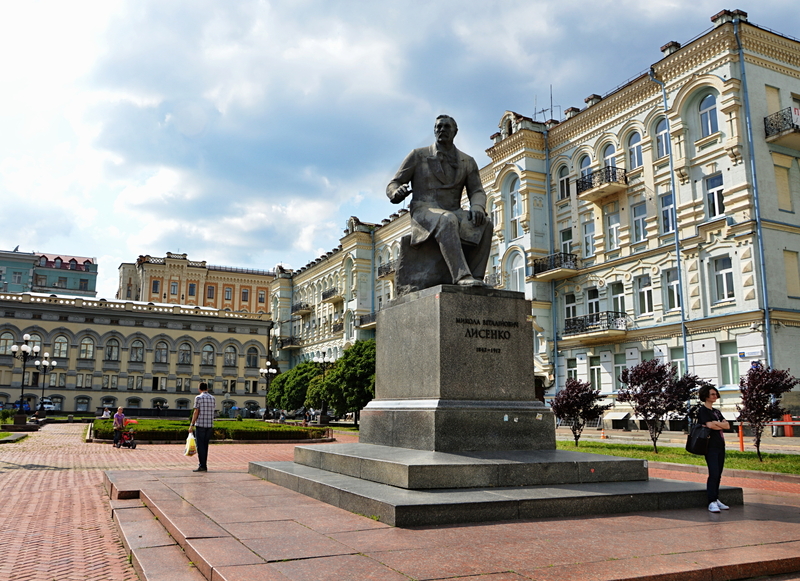 Adjacent to the National Opera House is Tetralna Square where a statue and monument to Mykola Lysenko (Ukrainian: Мико́ла Віта́лійович Ли́сенко) stands. Lysenko is the author of the classic Ukrainian operas – Natalka-Poltavka, Eneida and Taras Bulba. This entry was posted in Photography, Travel and tagged Arts and Entertainment, Kiev, Mykola Lysenko, National Opera of Ukraine, Photography, Travel, Ukraine by Steven. Bookmark the permalink.